Everyone has the right to respect for his privacy and family life, his home and his correspondence. No one shall be subjected to arbitrary interference with his privacy, family, home or correspondence...Everyone has the right to the protection of the law against such interference or attacks. 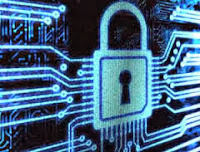 Various other international accords affirm privacy rights. So does the US Constitution. The Fourth Amendment protects against lawless searches and seizure.